Spring is upon us and I’m ready to get my vegetable garden going for the year. 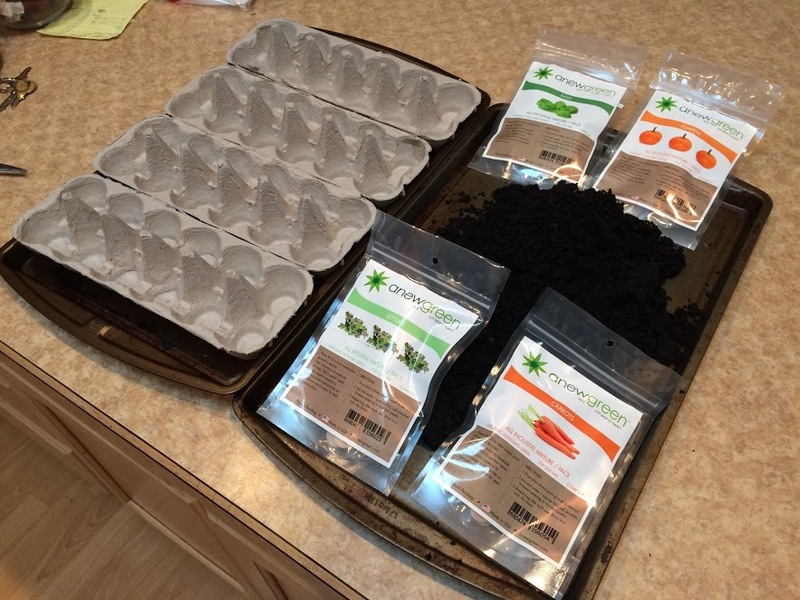 For the sake of adventure, I’m using a wide variety of Seed Pacs from Anew Green and decided to start my seeds indoors. Without further adieu, allow me to briefly show you how I planted my Seed Pacs. 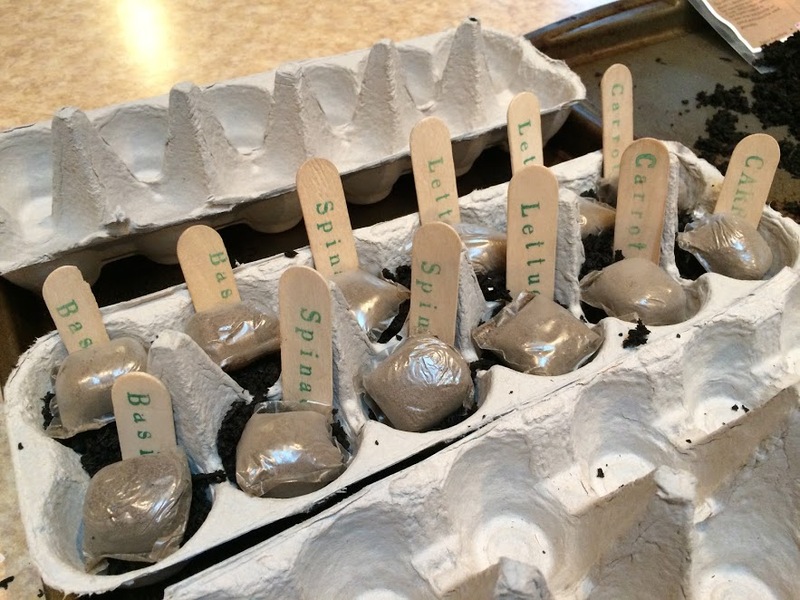 After scouting Pinterest, the idea of using egg cartons to start my seeds really stood out to me. My family of five just about finishes off a dozen every time we eat eggs for breakfast, so it didn’t take long to amass enough for my Seed Pacs. I shudder when I think about the food bill when my kids become teenagers. I also wanted to have a couple old cookie sheets and fortunately my local thrift store came through for me to the tune of a couple bucks. Oh right — it also helps to have some garden soil to fill the cartons. 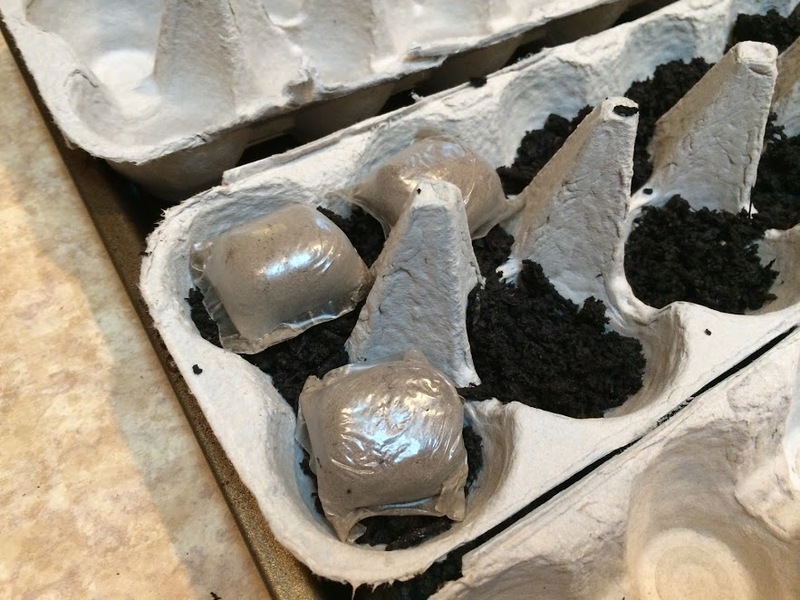 Before placing the Seed Pacs in the egg cartons, I first put a small layer of soil in the bottom so the Seed Pacs were even with the top of the carton. 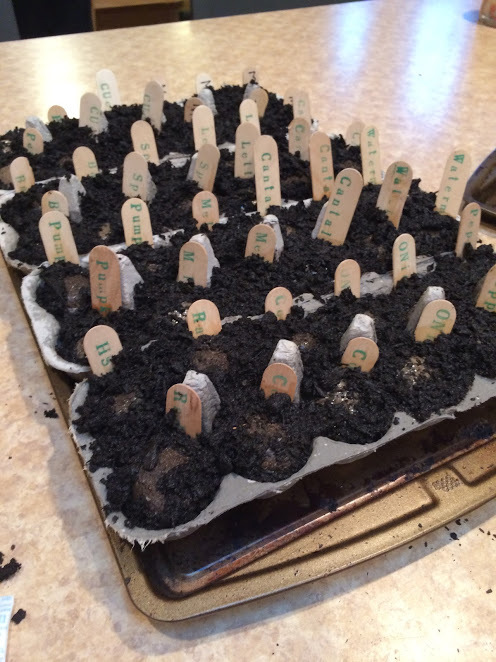 I then arranged the Seed Pacs in the cartons and used these tongue depressors to label them so I could remember what I planted. Remember that Seed Pacs contain all of the vital nutrients for your seeds to thrive. This includes biochar, humate, mulch, and compost. That means you can rough up your soil a bit, place them right on top, and they’ll grow outdoors without a problem. Still, I chose to pack a small amount soil around them and a very thin layer over the top. The final step was to use a measuring cup and gently water them. The coating on the Seed Pacs begins to dissolve right away. 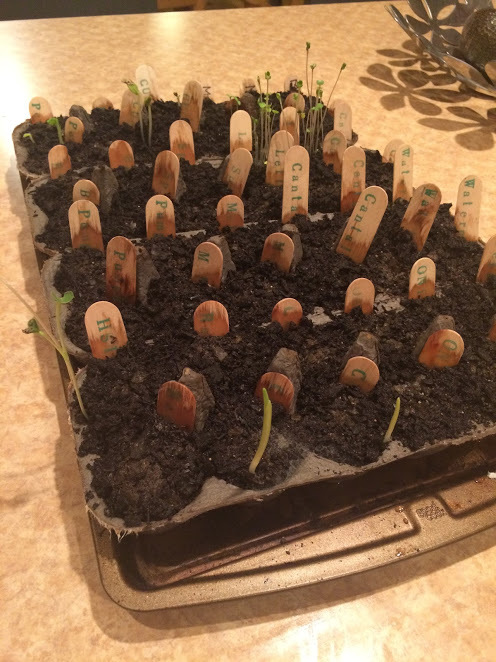 I’ve been keeping the soil good and wet and the cookie sheet allows me to move them out of the way of the kids and other commotion going on in my house. Fast forward a week and here’s my progress so far. Lettuce, peas, radishes, cucumbers, and corn are already rockin’ and rollin’ and I expect more to follow suit really soon. This means that on the next un-rainy day here in Oregon, I need to get outside and get my garden boxes ready because I’m going to have a whole lot of planting to do really soon. I’ll keep you updated on the progress. In the meantime, check out our full line up of Seed Pacs and get your garden started just in time for spring!